While trying several extentions I did not find one which offers the same functionality as the Live Bookmarks on Firefox, only RSS readers which wouldn’t work as intended. 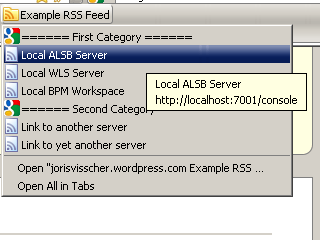 My use for these rss feeds is to point to servers and/or environments. So it’s more used as a dynamic bookmark than as a RSS reader. The bookmarks are placed on a local server at my company so our operations department only has to update 1 resource when there are updates. 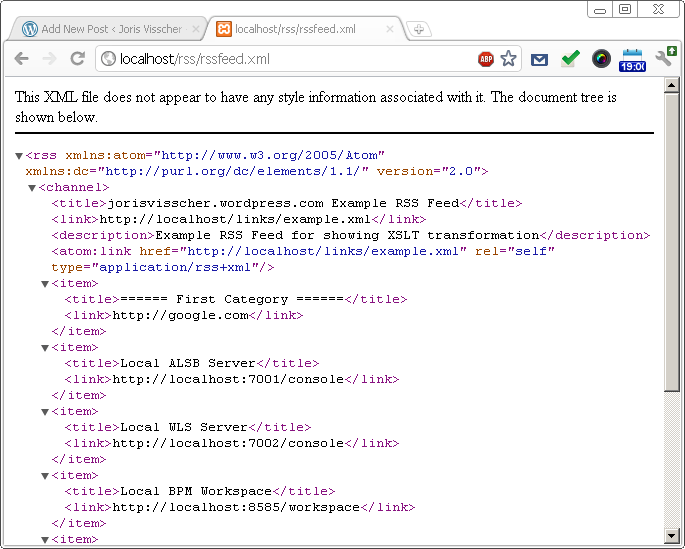 As you can see, we are pointing to a xslt file to transform our RSS feed for use on the screen (or any other XML file for that matter). 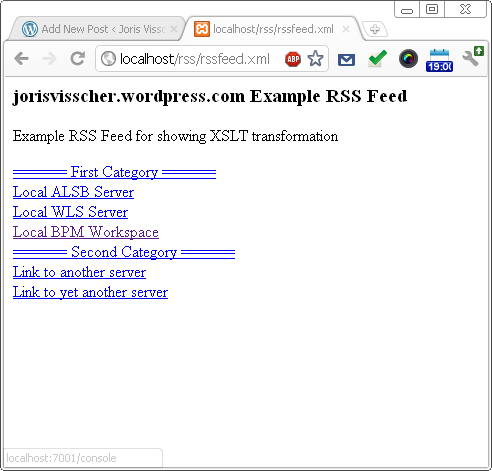 Place the XSLT file in the same directory as the RSS feed, or adjust the locator to the correct URL. Which is completely usable for me, since I don’t need Firefox anymore for my live bookmarks.